Tops – Pack a variety of tops that are lightweight and breathable, with both short and long sleeves. You’ll be thankful for short-sleeved tops on warm days, but relieved to have long-sleeved options in your suitcase as the weather gets cooler throughout the day. Add some versatility to your attire by packing tops that are casual, as well as a few pieces that you can wear for formal dinners and events. Sweaters – Pack items that will act as an insulating layer on chilly days. Depending on what you find most comfortable, this may include traditional sweaters, cardigans, or hoodies. Fleece jacket – Fleece does not absorb water, and you will not have to worry about getting damp when wearing a fleece jacket. During the summer, it may be the only jacket you will need. Rain jacket – A medium-weight rain and windproof jacket is a must for days when your tour includes outdoor excursions. Lightweight pants – Pack several pairs of comfortable and durable pants, including both long and short options. Keep them lightweight so they can dry out quickly if you get caught in the rain. Swimwear – Pool facilities may be available as part of your cruise, and in hotels during the land portion of your tour. If this is an amenity you plan on using, pack accordingly. 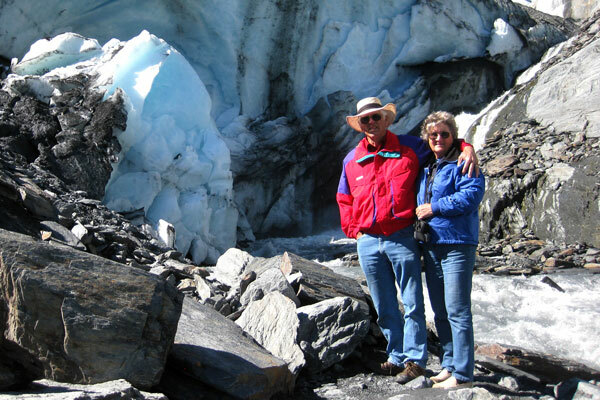 Comfortable hiking shoes or boots – Alaskan cruise tours typically have an activity level that ranges from easy going to moderate. While you will not be participating in any strenuous hikes, you will be visiting outdoor sites that require walking. You will need to pack a pair of shoes that you can rely on for comfort and dryness, in case of precipitation. If you plan to buy footwear specifically for your tour, make sure to break them in before your departure. Headgear – Plan to pack a cap, hat, scarf, or some sort of headgear to keep your head and ears warm. This item will not take up very much room in your suitcase, but will be extremely helpful for warmth and comfort. Daypack – Carry snacks, water, your wallet, and electronics with ease when you use a daypack or backpack. You will also have a convenient place to stow souvenir purchases in order to avoid holding too many bags in your hands. A backpack is much less intrusive than shoulder bags because it distributes weight more evenly. Reusable water bottle – Keep a water bottle with you at all times during your travels. It will come in handy in many situations and is also an environmentally friendly way to reduce waste. Toiletries – Pack toiletries you use regularly. This includes your favorite soap, shampoo, conditioner, body lotion, sunscreen, toothpaste, floss, deodorant, perfume and cologne, shaving cream, razors, anti-itch creams, etc. Consider travel-sized versions of brands you know and love if you are concerned about these items taking up too much space in your luggage. Medication – Always pack your medications in your carry-on luggage. Flights may be delayed, luggage may be lost, and you do not want to be in a situation where you do not have access to your medicine. If possible, include the name, dosage, and instructions for each medication. Camera and/or video camera – Capture your amazing Alaskan experiences on video or camera. Don’t forget to take extra batteries, chargers, and memory cards. 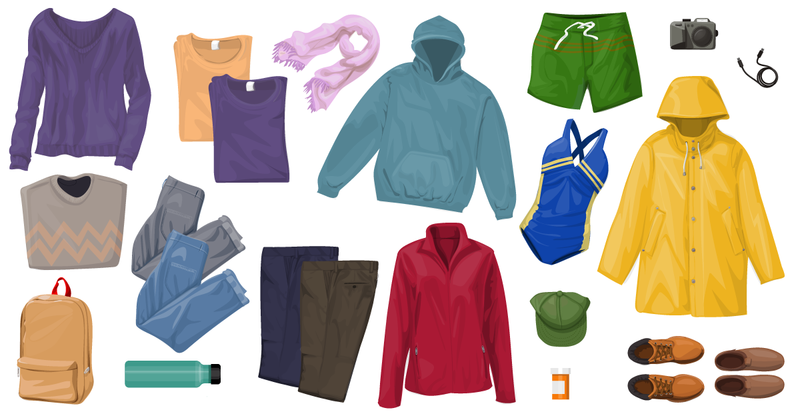 Once you have packed these items, you will be ready to handle unpredictable Alaskan weather. Rest assured that this packing list will provide you with enough layers to enjoy days full of sunshine, or to bundle up when temperatures drop unexpectedly. Now you can focus your attention on your travel itinerary and get excited for all the amazing sites you will encounter in Alaska.